Small structural modifications can significantly affect the pharmacokinetic properties of drug candidates. 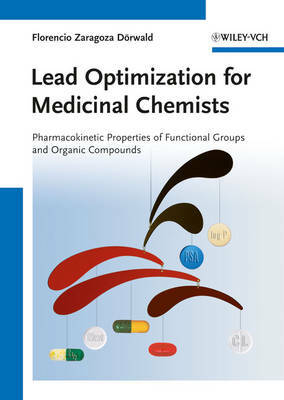 This book, written by a medicinal chemist for medicinal chemists, is a comprehensive guide to the pharmacokinetic impact of functional groups, the pharmacokinetic optimization of drug leads, and an exhaustive collection of pharmacokinetic data, arranged according to the structure of the drug, not its target or indication. The historical origins of most drug classes and general aspects of modern drug discovery and development are also discussed. The index contains all the drug names and synonyms to facilitate the location of any drug or functional group in the book. This compact working guide provides a wealth of information on the ways small structural modifications affect the pharmacokinetic properties of organic compounds, and offers plentiful, fact-based inspiration for the development of new drugs. This book is mainly aimed at medicinal chemists, but may also be of interest to graduate students in chemical or pharmaceutical sciences, preparing themselves for a job in the pharmaceutical industry, and to healthcare professionals in need of pharmacokinetic data.